Kinneret Grill was founded and opened in 2017 as a new concept eatery featuring a fusion of Israeli and classic Jewish/American fare unique to the Midwest. After eleven years of success running their first vegetarian restaurant, Kinneret Cafe, Avner and Karen Chriqui decided to merge the two locations creating a wider range of choices available in one location including their award winning falafel and vegan shawarma. 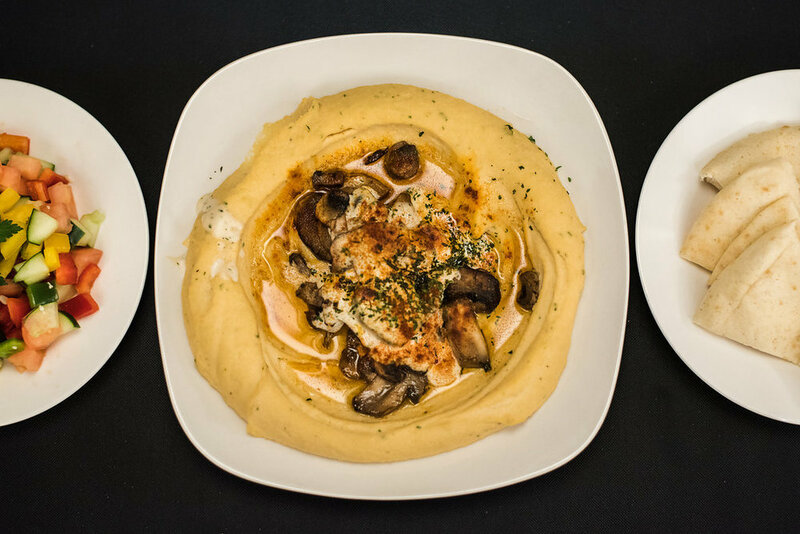 Specializing in Mediterranean and American cuisine, Kinneret Grill offers an upscale location at reasonable prices with warm staff and food that goes beyond expectations. Our kitchen chefs are well equipped with the skills to take your meal to the next level and give you an authentic and exciting experience. Stop by for the warm atmosphere and new cuisine and leave feeling full and well taken care of! Kinneret Grill is Kosher certified under Cincinnati Kosher. 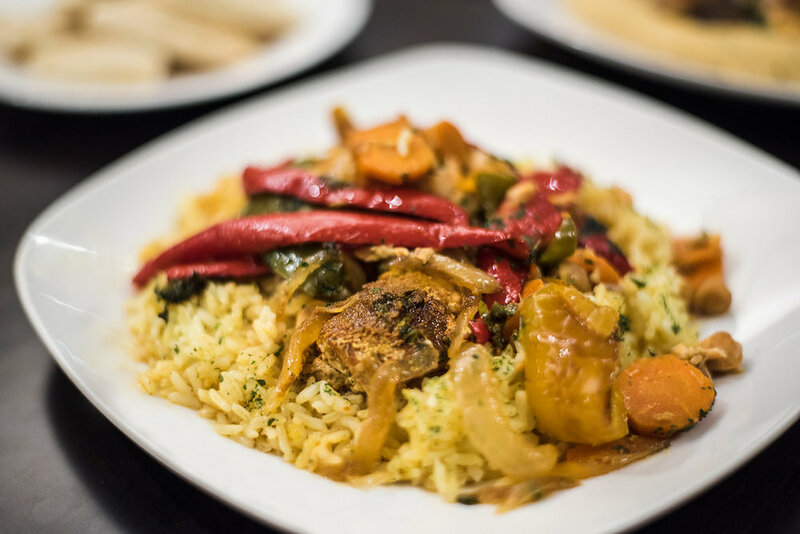 Two fillets of tilapia with a delicious blend of spices over a bed of couscous and grilled vegetables. Two tilapia fillets freshly breaded with crunchy panko crumbs on a bed of French fries with tarter sauce. A sampler plate of our falafel, babaganoush, hummus, stuffed grape leaves, and Israeli salad with laffa. Three eggs poached in our special tomato sauce with sautéed peppers, onions and tomatoes. Served with laffa. Call (513) 827–6154 from 4p – 9p daily. Reservations recommended - required for parties of 5 or more.